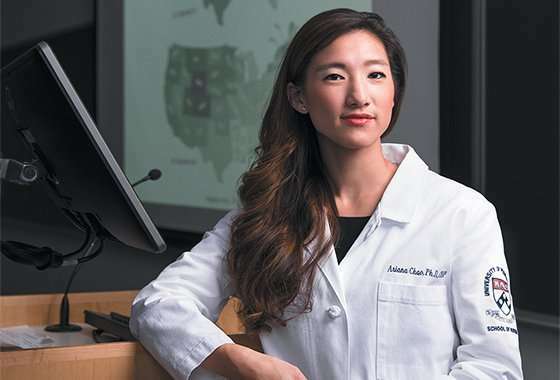 "This study indicates that while alcohol consumption is not associated with short?term weight loss during a lifestyle intervention, it is associated with worse long?term weight loss in participants with overweight or obesity and Type 2 diabetes," says lead investigator Ariana M. Chao, Ph.D., CRNP, Assistant Professor of Nursing in the Department of Biobehavioral Health Sciences. "Patients with Type 2 diabetes who are trying to lose weight should be encouraged to limit alcohol consumption." The study "Alcohol Intake and Weight Loss During Intensive Lifestyle Intervention for Adults with Overweight or Obesity and Diabetes," has been published in the journal Obesity.